Co-operative Group chief executive Euan Sutherland has resigned from his post with immediate effect, after claiming he has found it "impossible" to reform the troubled mutual. Reports earlier today suggested that Sutherland, a former Coca-Cola, Curry’s and Matalan marketer, has tendered a letter of resignation where he claims the group was "ungovernable". The missive, to the chair Ursula Lidbetter, follows the leaking of Sutherland's £3.6m salary package over the weekend. In a statement, Sutherland said: "It is with great sadness that I have resigned as chief executive. I have given my all to the business and had hoped to be able to lead its revival. "However, I now feel that until the Group adopts professional and commercial governance it will be impossible to implement what my team and I believe are the necessary changes and reforms to renew the Group and give it a relevant and sustainable future." Sutherland added that the Co-op must reduce its "significant debt" and "drive major efficiencies and growth" to ensure its future. Until the Group adopts professional and commercial governance it will be impossible to implement what I believe are the necessary reforms to give it a relevant and sustainable future. Co-op chair Lidbetter said: "It is with deep regret that I accept Euan's resignation. 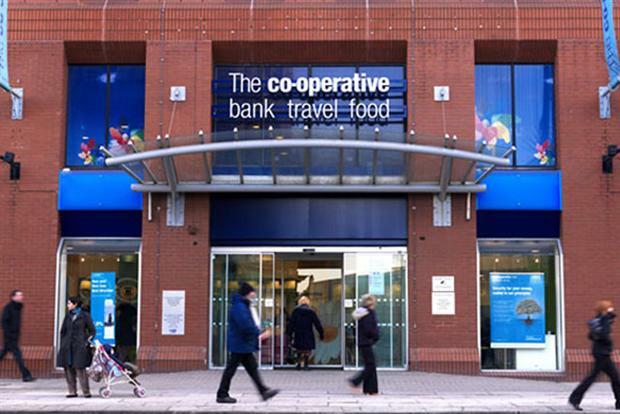 Last year, Euan and his team saved the The Co-operative Bank, without recourse to the taxpayer, and in doing so rescued the Group from the biggest crisis in its 150-year history. They have worked night and day to renew the organisation and to give it a sustainable future. "Euan's resignation must now act as a catalyst for the real and necessary change which the Group must go through. I would like to thank Euan for his hard work and leadership and to wish him the very best for the future." Chief financial officer Richard Pennycook will take over as interim chief executive. Labour MP Meg Hillier had previously told the BBC’s Today programme that she was "really shocked" by Sutherland’s behaviour and accused him of "jumping the gun and completely ignoring the mutual ethos of the Co-op Group". "To threaten to resign because [his pay] was made public seems extraordinary. He has to recognise he’s swimming in different waters to the PLC banking world," Hillier added. The Co-op has lurched from one crisis to another in recent times. Co-op Bank had to be rescued last year under a deal with its bondholders after discovering a £1.5bn balance sheet black hole. Then a number of lurid revelations emerged about former chairman Paul Flowers. He was arrested in connection with a drugs supply investigation and remains on police bail. Last month, the Co-op asked the public to provide opinions on its strategy. Does the Co-op really care about what the public thinks - or is it just a PR stunt?